Okay, so clearly we cheat a little bit and love combining our dates with other things. Officially, the popsicle stick that M pulled out of the jar was "Do Groceries at the Big Carrot"... which we did. 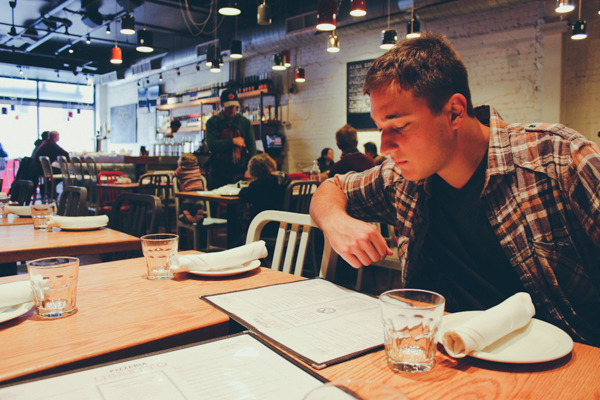 But we also got some lunch beforehand while in the hood. Cause you know. Food. Common theme on here. 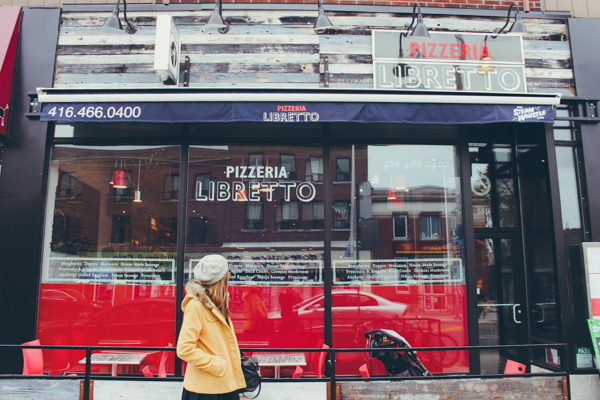 Hello Pizzeria Libretto! I love you! VPN Certification. 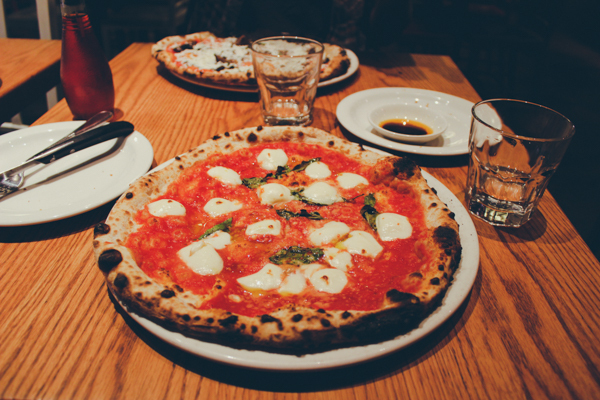 AKA Real Deal Heritage Grade Pizza Napoletana as designated by the Italian Government and the European Union. Brick Oven made. Circulary Shaped. Highest Standards Culinary Product. Diameter must not exceed 35 cm. Thinnest at it’s center. Charred and blistered crust. When held by someone’s hand must display high levels of softness, elasticity and foldability. When placed inside someone’s mouth should provoke immediate and unparalleled delight. And yeah, their pizza is as good as it sounds. 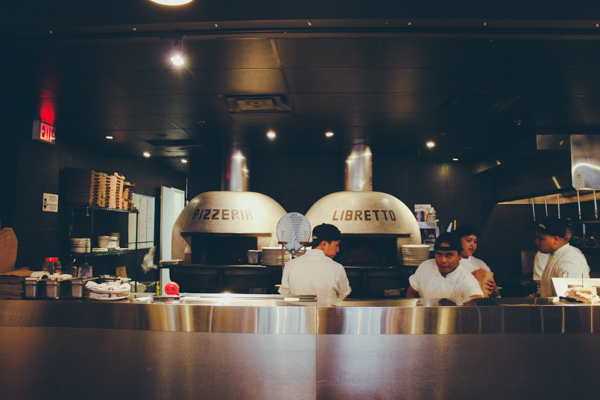 Here are those brick ovens they talk about. There's a large amount of pizza topping choices. I went with the the simple and classic margherita, because it reminds me of when I visited Italy in Grade 11 (Six years ago! God I'm old). 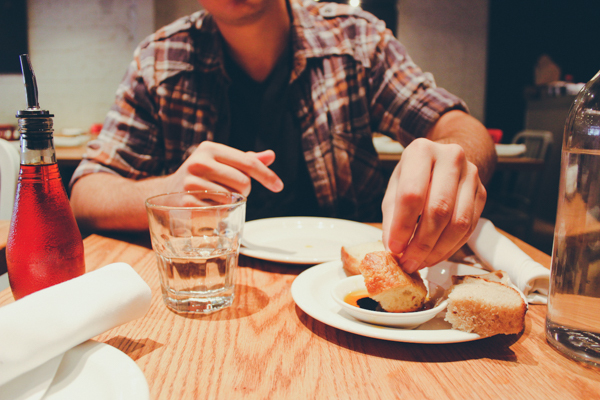 You can also order some bread with olive oil + balsamic. Carbs on carbs on carbs. And here's the crowning glory, saucy and flavourful, crisp, mouth watering. ALL the adjectives that can describe deliciousness are appropriate. After eating lunch, we went grocery shopping. I've heard that you should never go grocery shopping when you're hungry because you spend a lot more money. 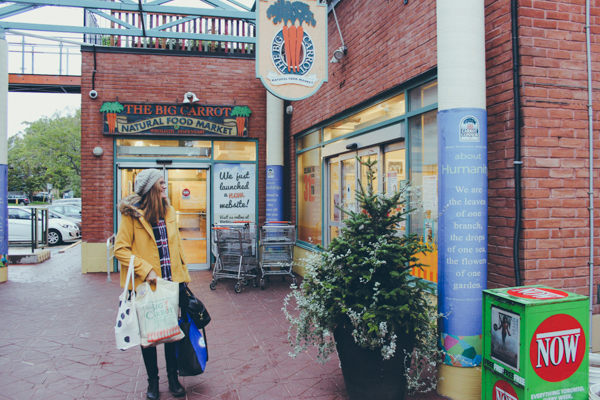 Well, we ended up spending a lot of money anyway because we went to Big Carrot, a famous Toronto organic superstore. And organic = money. Lots of it. I look so happy but my wallet is so sad. To be fair, we purchased a lot of things that weren't 100% necessary but just "Oh, this looks so yummy, let's try it!" and that adds up. Sigh. The groceries were delicious and oh-so-worth-it though, not only because of the taste, but because it felt good putting something healthy into my tummy.